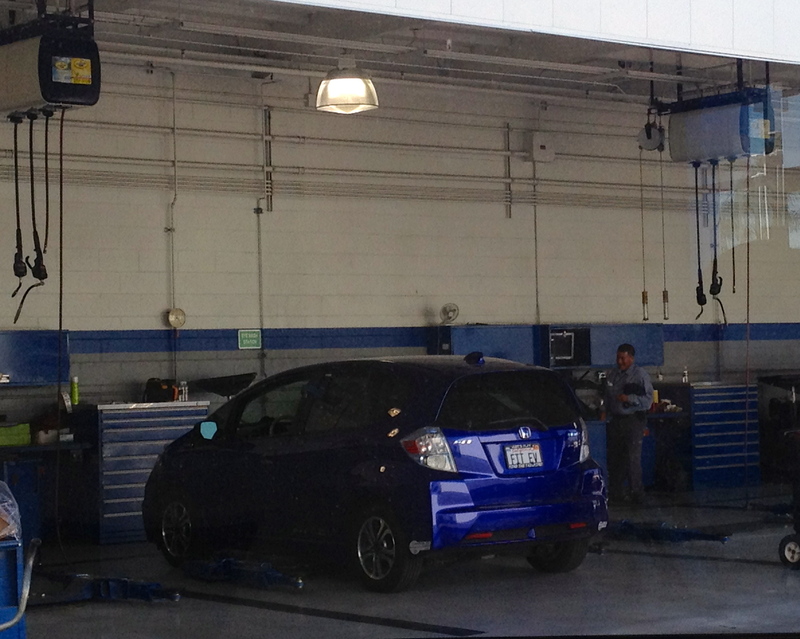 Last week, I took my Fit EV in to Honda of Escondido for my 7,500 mile service. Service for an EV is pretty minimal. This service was just a tire rotation and inspection (the next one will be too…) The whole thing took about an hour and was pretty painless. The service advisor mentioned that since my battery replacement, he hasn’t seen any more Fit EVs in for issues (there were a couple others in at the time when mine was in). PS: If you are purchasing an EV or PHEV within the next month (May 15 – June 15), Plug In America is giving away a free Clipper Creek LCS-25 to a new EV driver, plus $300 for installation.